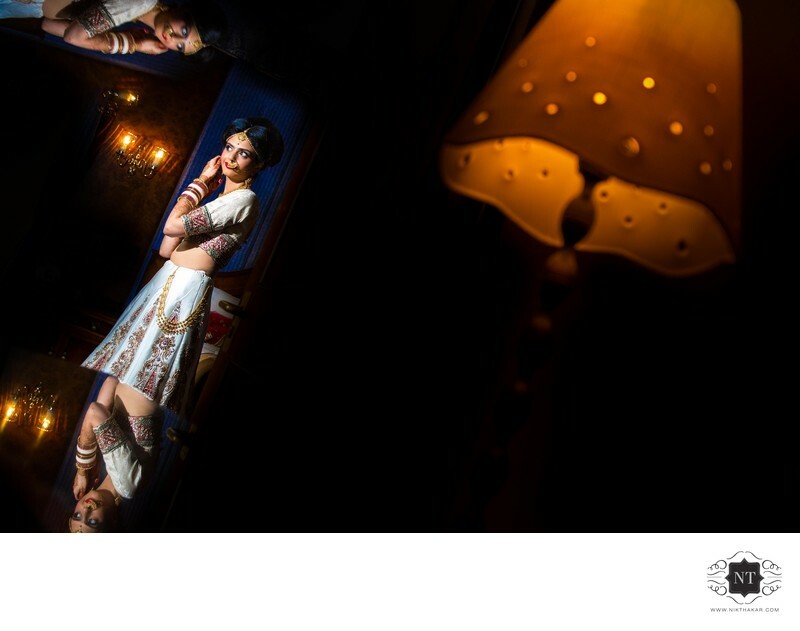 Bride getting ready at Copthorne Hotel Effingham, Indian wedding photographer Nik Thakar. Location: Copthorne Hotel, West Park Road, Copthorne, Effingham, West Sussex RH10 3EU. 1/500; f/2.8; ISO 1250; 24.0 mm.